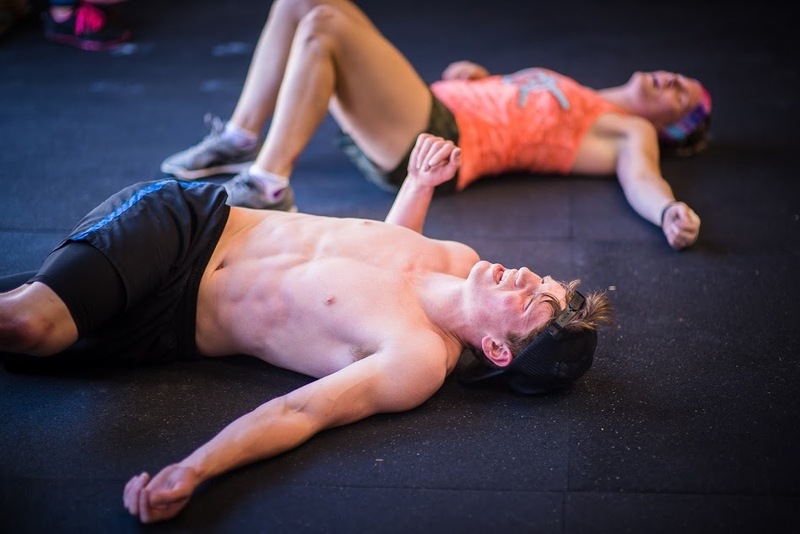 * Both athletes start the workout with 4 burpees and must stop and do 4 burpees at the beginning of each and every minute before moving on to the barbell work. 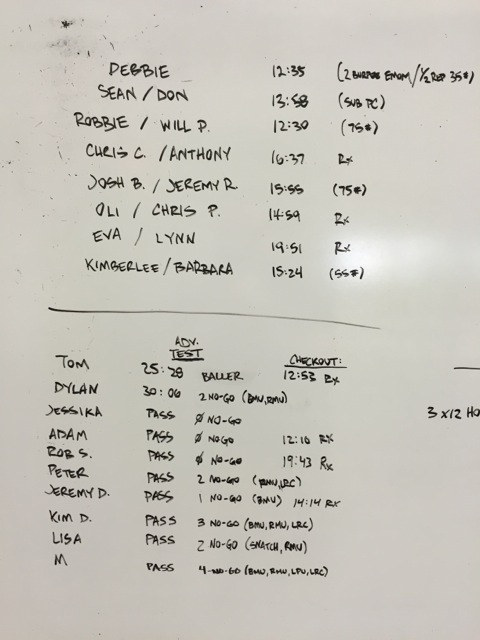 ** One athlete works on the bar at a time (the other rests), and the team is allowed to move to the next barbell skill once they have completed all 40 reps. Athletes alternate on the bar until 40 reps are complete and then move to the next exercise. *** If the minute clock beeps during a repetition the athlete on the bar will complete their rep and then both athletes must complete four burpees. **** There is a 30 minute cap.